A true horror movie leaves you shivering from your scalp to toes. It breaks you down. Makes you question your existence. Provokes the deepest emotion that resides in all of us; fear. Then crafts it in a cinematic form that leaves us picking out jaws off the floor.. Containing our latest horror movies, 2019 is going be a splendid year for us horror-lovers. But only time shall tell us if they are worth our time. Get your blankets and popcorn ready, guys. These horror movies of 2019 are going to be one hell of a ride. That being said, here are a few movies that proved themselves to be quite the contenders on our list. Where To Watch It: Head out to your nearest theatres right now! Why You Should Watch It: If the title “From the Writer and Director of ‘Get Out’” doesn’t have you rushing to the nearest theatre, perhaps the premise will. A married couple with their two children head to their beach house for a vacation. The wife, played by Lupita Nyong’o, grew up near the beach house and knows that something is wrong with the place. Her intuition comes true as her entire family is then attacked by four strangers during the night. The situation takes a turn for the worse as the four silhouettes reveal themselves as the doppelganger of the family. Jordan Peele doesn’t disappoint around this time either. Like Get Out, Us has been praised for its subtle political commentaries, splendid acting, great characterization, and deadly soundtrack. And of course, the horror. Just the trailer will leave you shaking from within. Cast: Christopher Abbott, Mia Wasikowska, and Laia Costa. Why You Should Watch It: Whoever says there can’t be phenomenal acting in a horror movie, Piercing proves you wrong. Telling the story of a common man who kisses his wife and kids goodbye and then heads to a hotel to murder a prostitute, this is a must watch. A refreshing entry in the horror genre, one that leaves you in a sick, twisted mood after it’s over–that’s what this movie is. With an amazing caliber of performances from Mia Wasikowska and Christopher Abbott as the two main leads, Piercing is quite the watch. When someone says the word ‘horror’, blood, gore and death are the first things that pop up in our mind. The movie by Peace feeds on the very mentality, sending its audience on a thrilling game of chase and blood. Piercing also has a great soundtrack that adds on to the entire experience. Why You Should Watch It: Slow burn horror with a heavy dose of art and great acting, Velvet Buzzsaw doesn’t disappoint. A satirical allegory of modern art, and how it’s more of a business than a form of expression, is perfectly depicted in the movie by interspersing supernatural elements into artworks. From the shores of Miami Beach to LA galleries, the movie presents various scenarios from varying perspectives transcending through the eyes of multi-dimensional characters . What makes Velvet Buzzsaw great are its subtle references to the world of art and its functioning. Each of the characters portray specific realities of struggling artists, hustling assistants and adamant sellers. Their fragile world is built on a foundation of assumption. This factor adds to their unlikeable and greedy personalities as we watch them getting killed off one by one. But the question is, what is more horrifying? Paintings that murder human beings or human nature itself? Why You Should Watch It: A possessed child, a determined mother and a whole lot of crazy. Sound familiar? Perhaps. But what makes The Prodigy worth watching is the slow demise of a young, healthy and brilliant boy as his mother desperately tries to save him from a harrowing fate. While there is little to no originality in this piece, some of the jump scares in it are very well-placed. Sequences of supernatural happenings like the ones in The Prodigy are what true horror is all about. One of the best things about this piece is the child actor. Jackson Robert Scott–who had previously worked in the popular movie IT (2017)–shines in this dark movie as the young prodigy. The lines he says, the way he acts out every violent scene when he’s been possessed by something unspeakably evil– all of it will send chills down your spine. Why You Should Watch It: Sequel to a hilarious, feel-good horror movie that doesn’t disappoint. Happy Death Day 2U doesn’t follow the traditional gore of scary films. It brings a modern twist into the genre; combining horror with comedy. Let’s just call it a college-based Halloween fused with Groundhog Day. Once again, the concept isn’t original. But our lead actress, Jessica Rothe, brings so much charm and hilarity into her character that we don’t really care. We are as determined as she is to solve the mystery of the movie which is–what on earth is happening? Happy Death Day 2U can be watched as a standalone. But in order to clearly understand all the references, do watch the first movie. It’s worthwhile. Remember, the sequel happened for a reason! Why You Should Watch It: Slow-burn that doesn’t pay off–that’s what this movie is. The Hole in The Ground has a premise that we’ve heard of a thousand times. Possessed child and a mother struggling to save him. If done well, it could be a remarkable horror flick. The Hole in the Ground sets up a great plot that never pays off. What starts out as a promising prelude ends as a disappointment. The acting of the main lead falls flat, the horrors aren’t horrifying enough, to many things are left unresolved and unsolved. When it comes to horror, we’ve seen better. Why You Should Watch It: More of a thriller than a horror, Escape Room has quite an interesting premise. Six people enter a competition in an escape room, only to realize that there is something much more sinister at play. Trying to piece all the clues together that would help them escape the room is the best part of the movie. The characters figuring things out is interesting, and horrifying, at times. But what takes away from the movie is the plot development, terrible script and the characters themselves. You won’t find yourself attached to them in any way. Treated as sacrificial lambs, not all of them are crafted to seem human or logical. Nonetheless, if you’re into screaming at the screen in frustration and watching people die for a particular reason, this is the movie you can watch with a group of friends. Why You Should Watch It: Picture this. The Loser’s Club has grown up. They are returning after 27 years and so is the It that haunted their childhood. 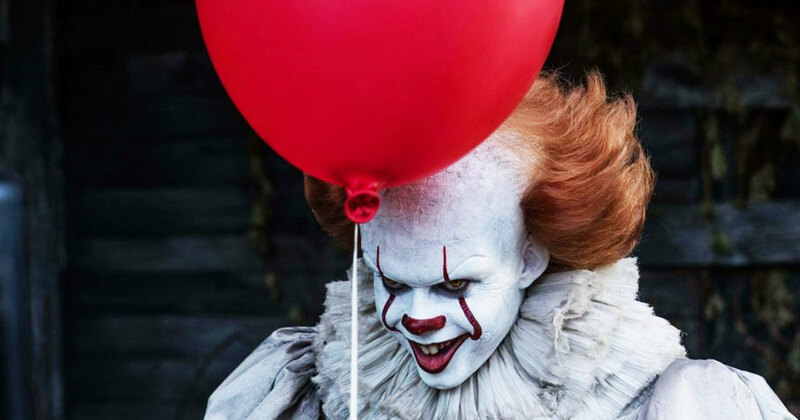 Continuing their battle with Pennywise the Clown–a villain that only gets more vicious with time–It: Chapter 2 is a must-watch for all horror-lovers. The first movie gave us everything we could possibly want. Great direction, even greater child actors, a terrifying villain and exceptional storytelling. Recognized as one of the few movies that did horror right from a book adaptation, we cannot wait for the sequel to hit the theatres! Why You Should Watch It: Largely based on a Latin legend of La Llorona, the Weeping Woman, this film tells the story of Anna Garcia and her two kids who are seemingly haunted by the mythical ghost. Myth speaks of the story of a woman who drowned her children and herself after her husband abandoned her for another. Sent back from heaven for her sins, La Llorona wanders along the river bank looking for her children. And every time she comes across young kids, she takes them with her. Until the Weeping Woman realizes that the child is not hers and drowns them in the river again. The trailer gives the audience a taste of the eerie set up and built-up jumpscares. Looks like we’re going to have a dreadful time in the theatre–in the best possible way! Why You Should Watch It: A superhero movie under the horror genre–that’s why. Honestly, how can you even resist it? With great young talents like Anya Taylor-Joy and Maisie Williams joining the MCU, The New Mutants is one of the most anticipated movies of 2019. Despite being shelved over and over again, many are still pumped for this film to hit the screens. Playing as the thirteenth movie in the X-Men series, it was first planned as the beginning for a horror trilogy. Various reshoots were done just to solely focus more on the terror aspect of the movie. This only serves to make The New Mutants a more irresistible movie. The wait is almost unbearable. Why You Should Watch It: What if our beloved Superman was evil? Of course, he won’t be Superman. But what if an alien baby landed on Earth by accident and raised by a human couple? What if instead of a hero, the boy becomes something else entirely? There are uncanny similarities between the movie and Clark Kent’s origin story. Crafting the possibility of a choice turning into humanity’s end is quite ambitious. And we can’t wait to see how Yarovesky presents a different take on the plot. To say we are excited to see how it is going to be presented on screen would be an understatement. Why You Should Watch It: Starting out as Stephen King’s novel, Pet Sematary is the second film adaptation of the book of same name. Telling the story of a family that recently moved to a new house located near a graveyard, Pet Sematary is a story that slowly climbs up your spine and breaks into your mind. The 2019 trailer, however, seems to show the movie deviating from the book. But as they say, don’t judge the movie by its trailer, hopefully, it will be just as great as it was in the paper. King’s adaptations are always a big hit or miss–all we have to do is wait and see how this will play out. Our fingers are crossed! Cast: Aubrey Plaza, Gabriel Bateman, Brian Tyree Henry and Tim Matheson. Why You Should Watch It: Not many of this generation know terrifying Chucky was. But they will soon. Just imagine a modern-day version of the living doll with the soul of an evil serial killer stuck inside it. Although the true tone of the movie hasn’t been established yet, the trailer does quite an astounding job of teasing us. We can hardly wait to hear Chucky’s voice and see all how he pulls off his frightening shenanigans. The plot seems to follow a set up we have seen a million times before. A mom gives a doll to her son as a gift, unbeknownst of the villainy that lies inside it. And the rest is history. What we are excited for in Child’s Play are the producers of IT being involved, Aubrey Plaza gracing the movie with her fabulous acting and Chucky himself. We eagerly await the terror! Why You Should Watch It: Zombie’s previous works on the series has been a gore fest and this one is probably no different. 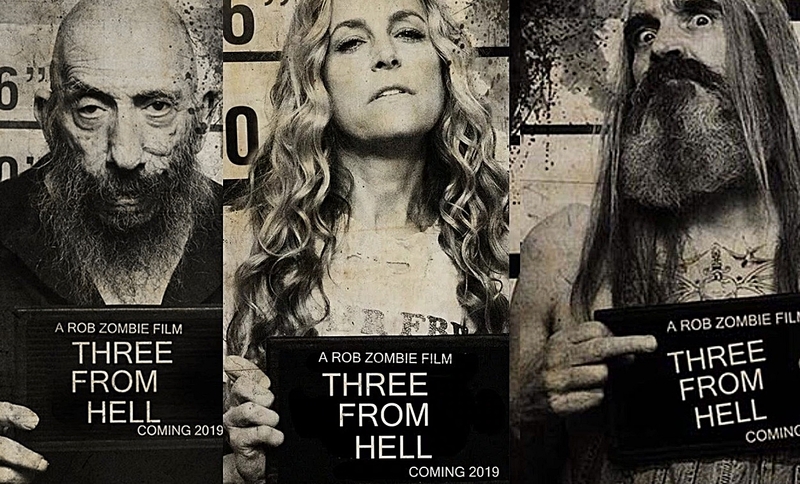 3 From Hell is a follow-up that continues the story of House of 1000 Corpses and The Devil’s Rejects. Since it’s first release, the movie has garnered substantial cult following. And if you’re into blood, gore, death and terror or a genuinely good slasher movie, it’s high time you join them. If you’re someone who gets weak on the stomach, we don’t recommend it. What makes Zombie’s pieces a go-to horror flick is the splendid script, great acting, dark humor and the built-up horror itself. House of 1000 Corpses and The Devil’s Rejects are considered to be one of the most quotable movies of this generation. From the looks of it, 3 From Hell is no different. Why You Should Watch It: Octavia Spencer playing a psychotic villain–what more could one possibly want? Here’s a little premise. Sue Ann (Octavia Spencer) is asked by a group of teenagers to buy alcohol for them. The little adventure turns into something else entirely when Ann allows the kids to use her basement as their party place. But little do they know, Ann has something much more sinister in store for them. Things take turn for the worse when they find out that the isolated woman went to highschool with their own parents. 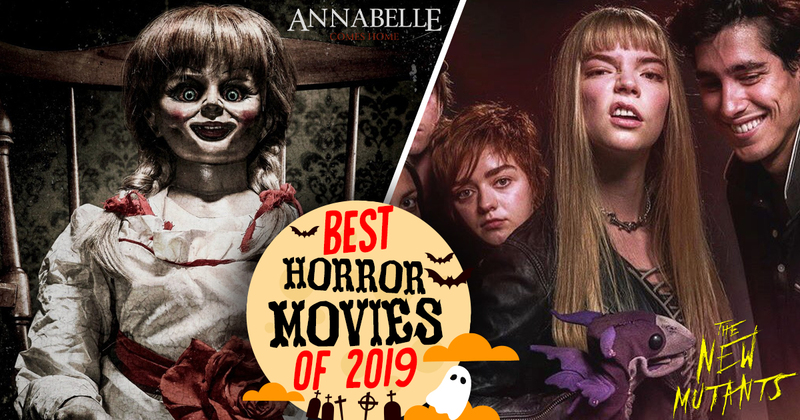 Bringing a twist in the genre of teen horror by implementing character arcs and an interesting villain, Ma is one of our most anticipated horror movie of 2019. 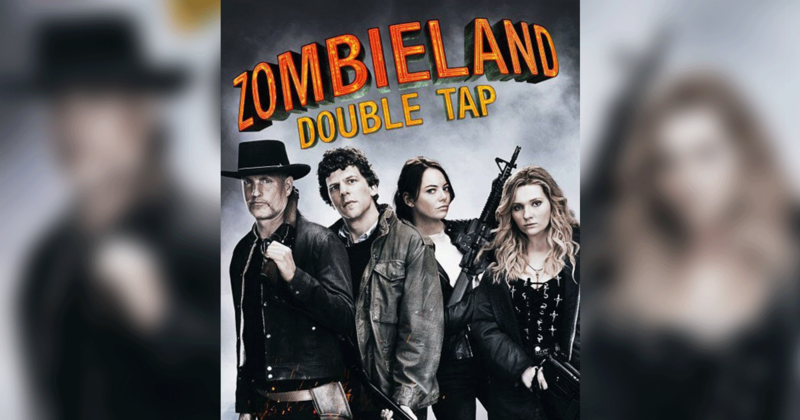 Why You Should Watch It: Releasing on the 10 year anniversary of the first movie, Zombieland: Double Tap is the one horror-comedy that we are eagerly waiting for. Just picture a post-apocalyptic world infested with zombies and a group of people trying to survive it. Zombieland took on a wild ride full of hilarious banter, plot twists, pop-culture references and great characters with equally great chemistry. For the sequel, all our favorite characters are making a comeback. If you’re looking for a light-hearted zombie movie for this Halloween, look no further. Grace yourself with Harrelson’s no-nonsense attitude, Eisenberg’s innocent logic, Stone’s badassery and Breslin’s cuteness. Why You Should Watch It: This is Stephen King’s year. 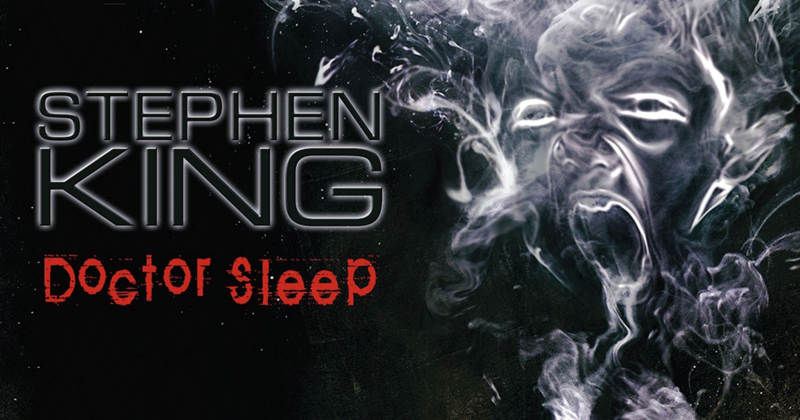 Sequel to one the best book adaptation, The Shining, Doctor Sleep is a movie based on King’s 2013 novel of the same name. We follow the plot of Danny Torrance as he succumbs to the similar fate of his alcoholic, short-tempered father. In The Shining, we got a glimpse of his psychic abilities. In Doctor Sleep, we explore it in depth as Danny finds a cult that feed on children with powers similar to his. As we all know, The Shining is considered to be one of the most celebrated horror movies in film history. No wonder fans everywhere are beyond thrilled that their favorite masterpiece is finally getting a sequel it deserves. To say we have high expectations would be an understatement. Cast: Hilary Duff, Jonathan Bennet, Lydia Hearst, Pawel Szajda and Ryan Cargill. Why You Should Watch It: The Haunting of Sharon Tate is already making headlines after winning three awards in Hollywood Reel Independent Film Festival. Beating out competitions in three categories–Best Director, Best Actress and Best Horror Movie–we are eagerly waiting for the movie. Even though the details of the plot is yet to be published, it is based on the horrific incident of 1969 when actress Sharon Tate was stabbed to death by the Manson Family. Tate was eight-and-a-half months pregnant when she was murdered. This only made the entire crime so horrific. As brutal as the incident was, and as terrifying as we expect the movie to be, we also hope that the portrayal does justice to Sharon Tate’s life and untimely death. We patiently await the release. Cast: Mckenna Grace, Madison Iseman, Katie Sarife, Patrick Wilson, and Vera Farmiga. Why You Should Watch It: Few among horror-lovers would be unaware of the Conjuring franchise. Annabelle Comes Home would be the seventh movie based in this universe. From its very first entrance, the concept of Annabelle has haunted our nightmares. It’s not just her appearance that makes her frightening, but the story of how she came to be. We have seen her origin before in Annabelle and Annabelle: Creation. But it looks like Annabelle Comes Home will be the one to explore the full potential of the possessed doll. And the chaos she inflicts on innocents. We can hardly wait to watch as she lays waste to everything holy and worldly. Wilson and Farmiga return as the iconic evil-fighting team. Except this time, it’s personal. Annabelle’s terrors target their daughter and her babysitters. Not everyone can be saved. 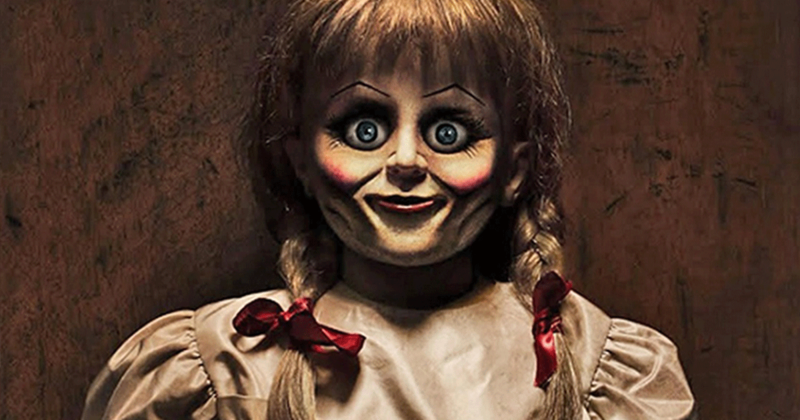 With talented people like Gary Dauberman and James Wan working behind the screen, Annabelle Comes Home is set to be a huge hit. We’re counting down the days until this new horror movie of 2019 hits the screen.